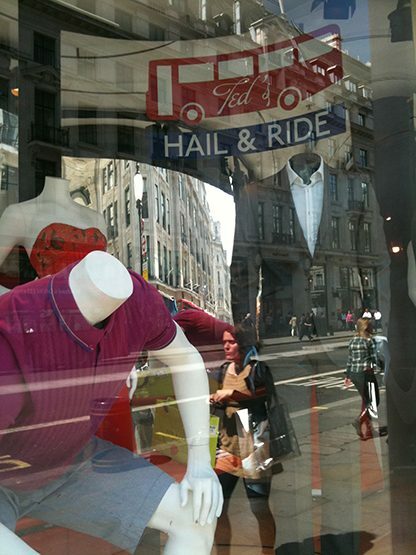 A shop window is in essence the interspace of the private and public. It belongs to the department store but is only facing the public space in front. Hail and Ride plays with this role. 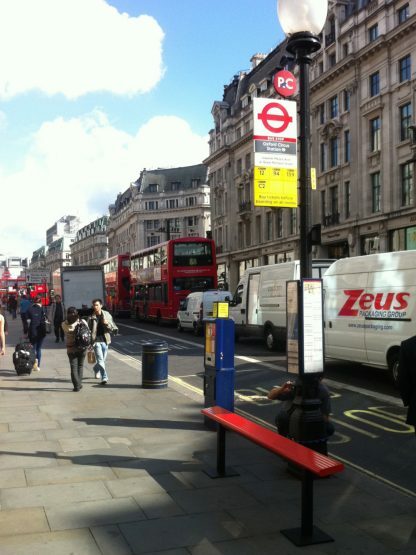 By extending the existing bus stop outside, the installation mirrors the public space into the shop and interacts with a typical red London Bus Stop Bench to create a place where the journey both begins and ends. 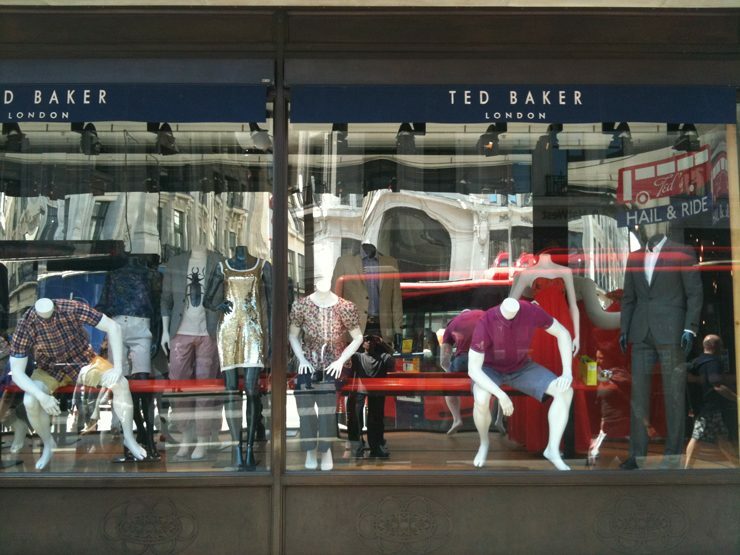 In front of Ted Baker‘s shop window a lamp post is situated with a bus stop sign attached. 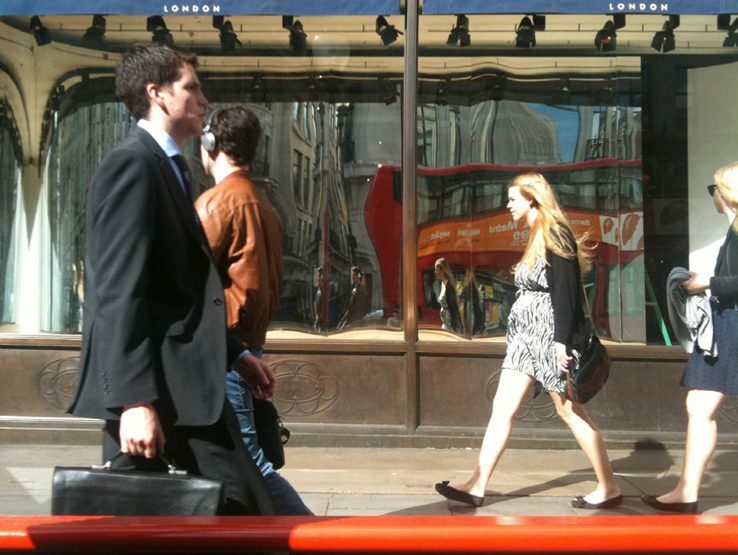 With additional typical bus stop elements like a countdown sign and mannequins waiting for the bus the shop window becomes more part of the public space. 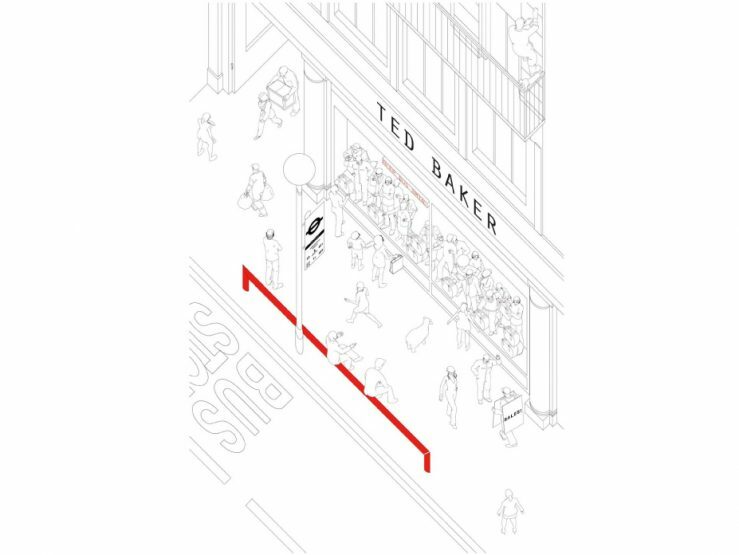 This twist turns all passers-by into a part of the work and refers to the openness of an international brand like Ted Baker. 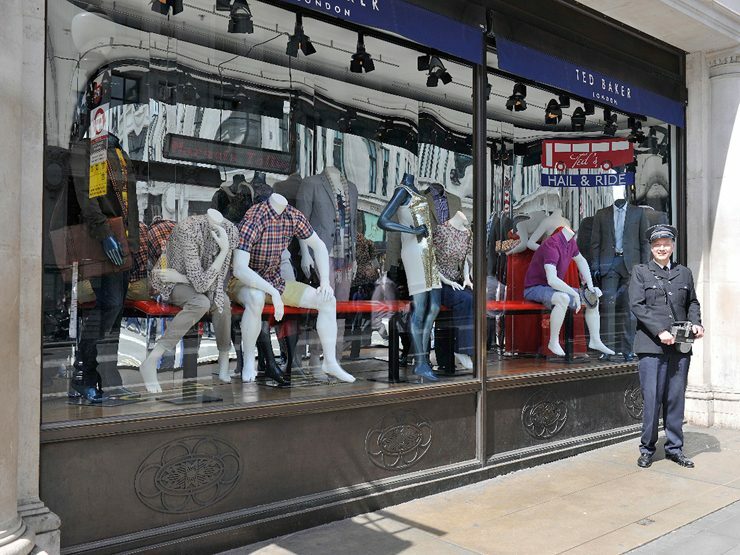 At the same time the outside is extended into the store by a mirrored backdrop in the shop.